Apparently, it’s all about the EDC (everyday carry) these days, and people are getting out of control. According to the internets, some folks are carrying bags of ready-mix concrete in case they have to build an emergency birdbath, and everybody (everybody!) carries multi-tools, knives (all kinds of knives!) and bottle openers (why?) — such as one might use to open a bottle of whatever beverage one might enjoy with a bacon and lettuce and tomato sandwich. I carry stuff, too. And I carry too much. Because this genius technique is so incredibly ingenious, I have decided not to patent it, but instead am “open sourcing” it to the world in the hope that we all can get along and lead better, more productive and — above all — happier lives. Tom Bihn Cadet 13.5-liter briefcase, with optional neoprene laptop Cache, Absolute Shoulder Strap, three Halcyon Organizer Pouches (one small and two minis) and a Key Strap, which I think came with the Cadet. The briefcase ships with a standard shoulder strap, but you’ll want to upgrade to the “Absolute” model for an additional $20. I don’t remember how I learned about Tom Bihn, but I’m a convert. In addition to the Cadet, I own two of their backpacks and the insanely great Aeronaut 45 carry-on bag. Tom Bihn products are thoughtfully designed, handmade in Seattle, tough as nails and guaranteed for life. I’ve owned Hartmann (when it was good), Tumi (when it was good) and Briggs & Riley — which still is good, but not always as thoughtfully designed as Tom Bihn. Believe me now and thank me later. a two-inch thick Redweld folder of printouts of online articles about…. The scene they ripped off from Runaway Train (1985) was pretty good, but otherwise… m’eh. I finally got around to watching (most of) this. It’s not as good as Season 2, which wasn’t as good as Season 1, which was truly outstanding. June 3, 2018 June 3, 2018 Ronald Gordon TV	cool...!, huh...?, Westworld Season 2, what the...? Don’t get me wrong: I have no idea what’s going on. But I can’t stop watching it. A long time ago, nowhere near here, some Jedis lived and died but there was just one left and he was Luke Skywalker on the island on that planet where Rey found him with his thing which he threw away next to the penguin/owls that look like good eatin’ except they look at you so don’t do it. There is good and evil in each of us, and The Force is not The Force. Meanwhile, Kylo Ren has the Supreme Leader and there are no dentists in the galaxy. Kylo pops up and Rey pops up and they talk. A lot. Meanwhile, the Empire is trying to wipe out the last of the Rebel Alliance, so Finn and Rose Tico — who is sort of Finn’s girlfriend, except that I thought that Rey was sort of Finn’s girlfriend — have to go to the place to steal something or blow something up except they race horse/camels through Mar-A-Lago and then go back to one of the ships because stuff is blowing up and the lady in the evening gown saves everybody and gets killed because they now are hiding in the big cave but the giant canon is coming so Luke uses The Force on Kylo Ren and the evil British guy while Rey lifts the rocks and the foxes and everybody else goes out the back. In the end, most is lost, but all is not lost because of the children. They are our future. June 4, 2017 Ronald Gordon Narcissism	WSJ What's On Your Phone? 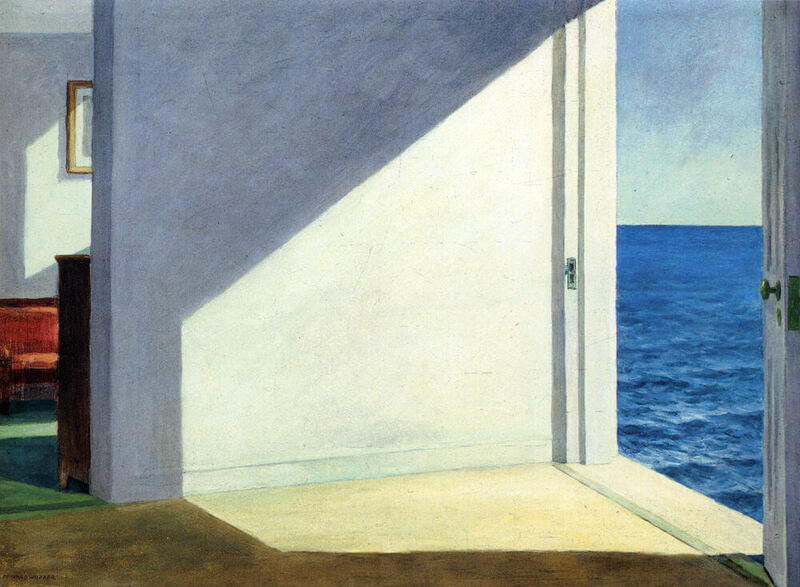 Home screen image: Rooms by the Sea by Edward Hopper; I do not keep icons on my home screen. Favorite podcast: None. I can read much faster than I can listen. Siri use? : I’ve set the voice to male with a British accent. I also tried to change the name from “Siri” to “Reginald,” but couldn’t do that without jailbreaking the phone. Snapchat. Instagram. Texting. : Are. You. Serious? Uber: No. Shame on them for everything they do. I take yellow taxis, and you should, too. Voice message: Don’t know. Don’t care. If I don’t recognize your number, I’m not answering anyway. App somebody should invent: If I knew that, I’d be rich enough not to have a cell phone.